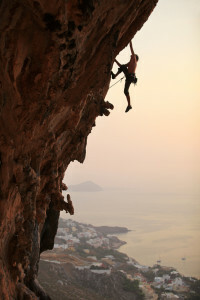 The fitness industry can seem like a very difficult climb. The experience of most fitness professionals is clawing up a rock face with each stage being harder than the next. Even if you have awesome ideas and you get fantastic results for your clients and customers, increasing your income can be extremely difficult. The good news is that there is a solution; it’s called Content Marketing. Content Marketing was the primary method I used to build and sell my fitness business. 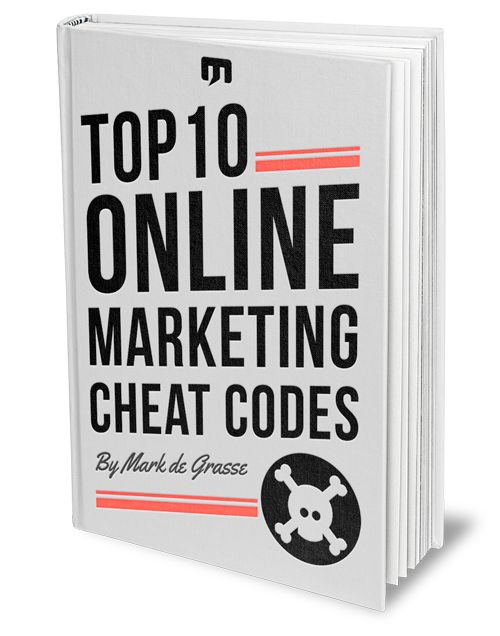 In a little over two years, I used Content Marketing (which was free) to grow my business, My Mad Methods, and then sell it to Onnit Labs. Better yet, I was able to provide useful information for thousands of people to get fit, connect a previously dispersed fitness community (unconventional trainers), and connect with hundreds of amazing fitness professionals. But what is Content Marketing? Have you ever wondered why so many fitness companies and organizations publish so much free content? Websites like BodyBuilding.com, T-Nation.com, MensFitness.com, and a million others are constantly coming out with informative graphics, entertaining articles, surveys, and incredible videos, all for free. Why would they spend so much time creating this information without any obvious way to generate revenue through the work? All of these efforts are related to Content Marketing. Content Marketing is the golden goose when it comes to the fitness industry. Many large fitness businesses, small fitness businesses, and personal trainers have used Content Marketing to make billions. The best thing about it is that you can too, no matter how small your business is or how much money you have to get started. According to a list of top marketing professionals, Content Marketing will continue to expand throughout the business world, and for good reason! With Content Marketing, you provide your customers with the information they want and need, then when they’re ready to buy your related product or service, they know exactly where to go! To most small business owners, including personal trainers, marketing can be a scary maze full of ways to waste both time and money (and as a fitness business owner, you usually don’t have much of either). The problem is that most people confuse “marketing” with “branding,” marketing’s much more interesting cousin. Branding is creating a consistent image of your company for people to perceive; things like your logo, general website layout, business card, signage, etc. are included in this segment. Marketing, on the other hand, is what you do to actively get new customers. Branding is what they’ll see when they find you. There are much more extensive definitions of both, but let’s keep things simple. Marketing in the fitness industry can be tough, after all, there are over 250,000 fitness professionals in the USA alone, and people have access to even more trainers online. Don’t fret though! There are over 320 million adults in the USA, meaning that if every one of them was to get fitness training (which they all desperately need), each trainer would have 1,280 clients! The point is that there is plenty of business out there for every single trainer, it’s just a matter of how you market yourself to reach them. They don’t want to give away their fitness secrets for free, so they hoard the information and no one ever finds out what they have. They don’t know where to begin, so they try to do everything at once: create information products, start webinars, start podcasts, create multiple websites, make new fitness equipment products, start gyms and online groups, and generally run around in circles when they run out of time to do everything (this list doesn’t even include training clients and themselves). They spend lots of money to advertise their products and services in ways that they don’t fully understand, blowing loads of cash on pay per click advertising, local published ads, billboards, events, and more. They create a target market so broad that it technically includes every man, woman, and child in the world. They become “career fitness students,” attending every certification, seminar, and workshop possible believing that the next qualification they get will let them enter the “next level” of their fitness business. The good news is that every fitness professional is capable of making a unique product or service offering that is both marketable and potentially profitable. The bad news is that it will be work… lots of work (but you’re doing that already! Might as well get paid for it!). Another problem with marketing your fitness business to the masses is that it can be difficult to differentiate yourself. All fitness trainers truly care about their clients, they can get people fast, efficient results, and they have transformation testimonials to prove it. How does any of that make you truly different from the next guy/gal? It doesn’t! What makes you different is your personal background in fitness and your personal experience training individuals. Think about it this way, how many ways are there to do a Squat? The point is that your personal view of every aspect of fitness, from diet to training to motivation to client type, is unique to you. You have enough information to fill hundreds of pieces of content for your website. You are a resource. You just need some direction! Stay tuned and I’ll provide it for you.